In this rollout everything dealing with uv coordinates, materials and material IDs is handled. Though this one of the oldest parts of Mesh AK, it's not completely finished. There are no working standard command mode (rotate, scale, turn), but I am working to implement this. Supported materials are only bitmap materials. I think in one of the next releases this will be enhanced. Nevertheless, the UV FAce/UV Poly subobject modes have already got some very useful tools. "Chn" Spinner: Set the mapping channel for the UV operations, unless "by Settings" is not checked". Here's an example of the uv coordinate index rotation. I have mapped a geosphere with face mapping. All faces were mapped the same way in unwrap. 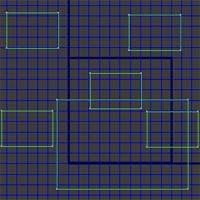 The vertices fit, but in different faces they are assigned to different vertices, as you see in the picture left. With Shift+Ctrl I rotated the uv coordinate indices, until they were aligned the same way. This wouldn't work with turn. Local: If checked, the UV coordinates are rotated around the local center of the uv coordinates. 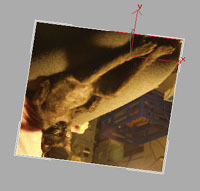 If not checked, it is rotated around 0.5/0.5. Preserve UV ratio: If checked, the ratio between the U and v coordinates is preserved. This works only in local UV coordinates. 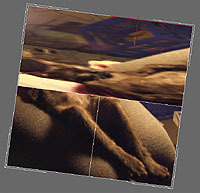 After turning with preserving UV ratio; The texture isn't distorted, but the original UV coordinate borders can't be kept. 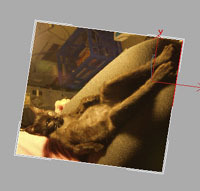 The command mode always orientates itself by the current viewport view. 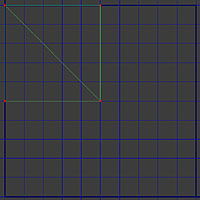 It looks on the viewport, where the bottom left vertex is. 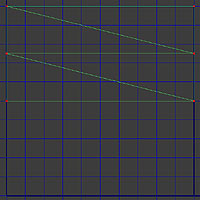 This vertex gets the uv coordinate u:0.0, v:0.0 (plus offset, see downwards). 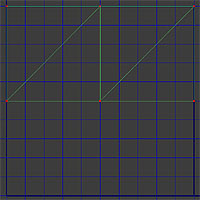 The top left vertex gets u:0.0, v:1.0 and so on. 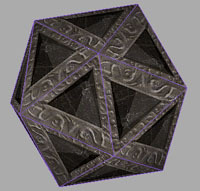 The other border and inner vertices are set in relation to these vertices. 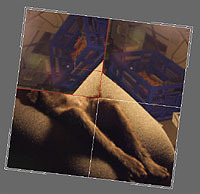 · The polygon must have 4 "defined" corners. 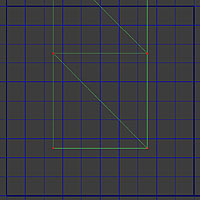 To detect which are the corner vertices the tool looks which vertices have the least angles to their neighbour vertices (in the viewport, not in world space!). 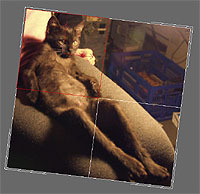 If the outer shape of the polygon is too complex, with many very differing angles (e.g. 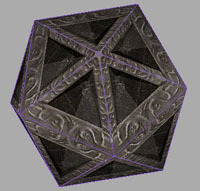 a star shaped polygon), or the polygon is shaped like a circle, the tool can't detect, which are the searched vertices and fails. 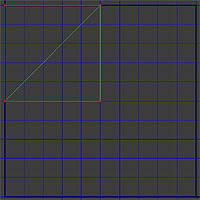 In some cases you may reduce the visible complexness of a poly by turning it around in the viewport, until you see 4 defined small corner angles. 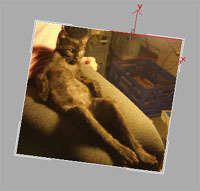 · The polygon mustn't have a big height. 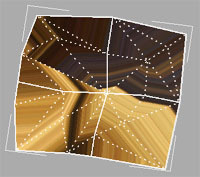 Since it is mapped "flat", with averaged normals (like in uv unwrap), it is not possible to map polys with a big height: though it is mapped "correctly", the distortions look too ugly in most cases. Note: Sometimes "Map" doesn't work at all and only creates a distorted something. You know Max' special cure for all cases: "Reset Xform". In many cases it should work. 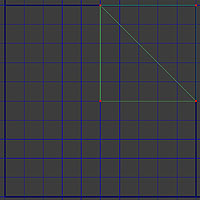 If this doesn't help, examine your mesh for unwelded vertices, double faces and such stuff, which prevent the mapping from working correctly. The polygons to be mapped. 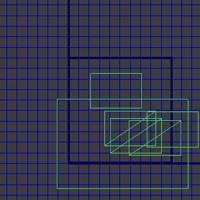 It's four polygons, each with subdivisions and a slightly irregular border. 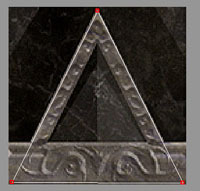 So that you automatically get fitting borders, if you're using tiling textures. Mapping coords: This brings up the Mapping coords dialog, where you can enter the coords, to which it is mapped. ID: Sets the material ID of the selected faces. In the image below you can see the material (currently only on materials, which have a bitmap texture as the diffuse material. 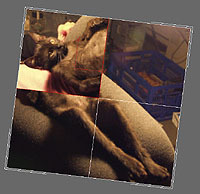 SelThis: Selects all faces, which texture ID is identical with the currently selected. 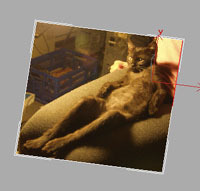 SelID :Select by texture ID dialog. 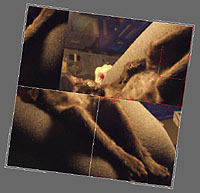 Similar to Edit Mesh. 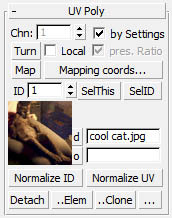 Normalize ID: Normalizes texture id's. 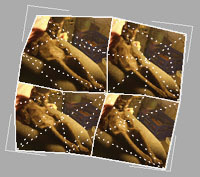 Changes all texture IDs of the selected faces, which are higher than the maximum of the IDs in the current material to appropriate IDs in range. 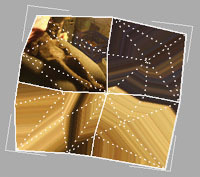 Moves all texture coordinates of the selected faces as near as possible into the range of 0/1. E.g. a Poly, which is mapped to U 2.2/2.7, V 1.0/2.0 is remapped to U 0.2/0.7, V 0.0/1.0. So you get rid of mappings, which lie outside of the range of 0/1. Of course, this doesn't work in all cases; If you got mappings, which size exceeds 0/1, you still will have coordinates outside of 0/1. Detach: Detach directly to objects. Object name is "Objectnn", where nn is a number. ..Elem: Detach directly to elements. ..Clone: Detach directly as clone. Object name is "Objectnn", where nn is a number. ...: Puts up the original detach dialog, where you can specify a name for a detached object.